Reopen the healing channel you were born with and learn how to use this wonderful energy on yourself and others! The official definition for Reiki is spiritually guided life force energy. But our practitioner, Sam Spiro, likes to call it unconditional pure love direct from the universe. Reiki is commonly used as a healing technique wherein the practitioner channels energy by means of touch and activated the natural healing process in the body restoring its physical and emotional well being. 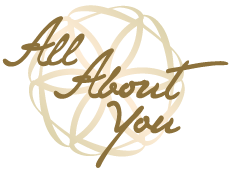 At All About You Centre, we offer Reiki practitioner training workshops with our qualified practitioner and trainer, Sam Spiro. Anyone can be attuned to and use Reiki. In the 2-day Reiki 1 workshop, the Reiki energy will be passed on to you by opening up your energy channel, which keeps it open permanently for the rest of your life. We are all born with an open energy channel, but lack of use and our conditioning, and the neurosis of the mind creates a veil that stops us tapping into it. Children, though, who are taught how to use it from a young age never need to be initiated. The workshop will consist of lovely meditations, and several attunements (received individually) spread over the 2 days. You will learn what Reiki/universal life force energy feels like, as well as how to distinguish it from your own energy. You will be taught how to give yourself a treat and how to work on others (and practise doing so). Crystals are a fantastic accompaniment to Reiki and can really enhance it, so we will discuss which to use and how to use them for Level 1. Finally, we will discuss the Code of Ethics, ie, the occasions when you shouldn’t offer Reiki. It is recommended that all students commit to giving themselves healing once a day for 30-45 minutes for at least 21 days, or longer. Reiki is a lifestyle and the more you use it, the more it will flow. Once your energy channel is opened, it’s all about putting your attention on your hands with the intention that the energy will flow. The 2-day Reiki 2 workshop is all about building on what you have learned in the first level, giving you more tools to amp up the flow and energy intensity. The workshop will again include several lovely meditations. We will discuss your experiences of using Reiki and you will also receive the 3 main symbols via attunements that I will give you (individually) over the course of the weekend. You will learn how and when to use these symbols and to feel and experience their unique energy. Using them to create what we desire (assuming it’s for your highest good and within the realms of free will) is another great “perk” of learning and using Reiki. On the last day, we will discuss and learn how to balance the chakras and what crystals to use for each. We will also incorporate pendulum work. Learn powerful symbols that take your healing ability up a gear. You can call yourself a practitioner at this level and in the UK can rightfully get insurance as a professional practitioner. Please note that Reiki 1 and 2 workshops are done separately with a gap in between the two. It is not recommended to do the workshops back to back. For those that would like to enrol for a refresher session, we offer 1 and 2 day refreshers at either the Reiki 1 or Reiki 2 workshops.